I know there are many cultural recipes and lovely baked sweets traditions associated with St. Lucy's feast day. Many have been posted here in past and recently for St. Lucy day celebrations. I saw these appetizers on Pinterest (from blog Diethood) and in my mind made a link to St. Lucy. Wanting to make sure I wasn't stretching it, I asked my son to look at the picture, too. "Hey, what do these look like?" "Eye balls," he replied and he knew if I was doing a post for Catholic Cuisine, it was for St. Lucy. So if a 15 year old sees it, they must look like an eye. 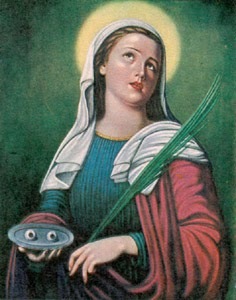 St. Lucy is often pictured in paintings holding a plate with two eyeballs. One of the legends associated with her indicates that as part of her torture, Diocletian had her eyes put out. According to those stories her sight was later restored to her by God. These are a simple appetizer and actually quite tasty. They may be a more grown up fare as mine were never fond of feta when they were younger. I assume the recipe could be modified to exclude the feta and just use the cream cheese. The following recipe, adapted from Cooking with the Saints, was submitted by Hi Cookery for the feast of St. Lucy on December 13th. Thank you Highlander and Islander! Warm up during the winter weather with a saintly soup! 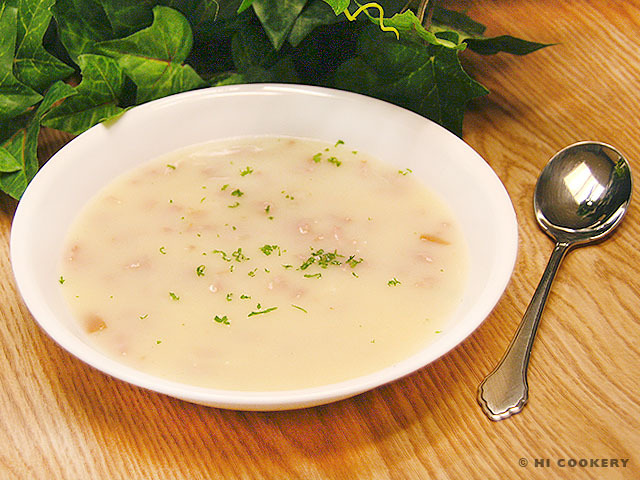 On those darker, depressing December days in the northern hemisphere, we like to lighten up with leves (soup) of Santa Lucia. St. Lucy, whose name means “light” in Latin, was a third-century saint from Sicily, Italy. Legends state that she was tortured to death by having her eyes gouged out and being burned at the stake for her Christian faith. St. Lucy is the patron saint of the blind and those with eye problems, as she gives hope to see the Light and Savior of the World—Jesus! Santa Lucia Leves is a Hungarian recipe. This soup can be served during the season of Advent and Christmas and on the Feast Day of St. Lucy. 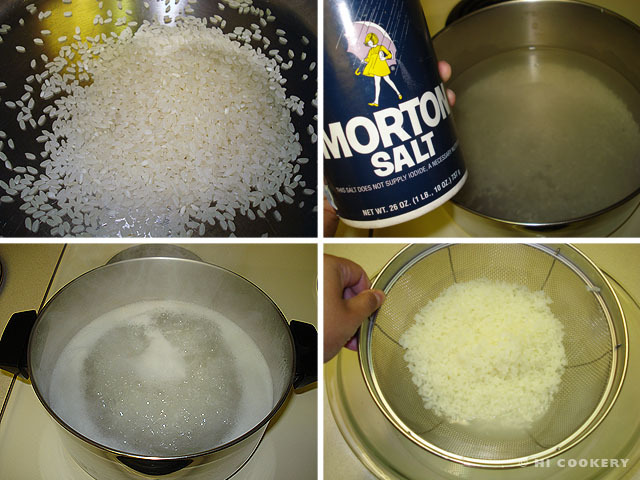 Boil the rice in salted water until soft, about 30 minutes. Drain the rice-flavored water into a large bowl. Save the rice for another recipe, if desired (see Notes). 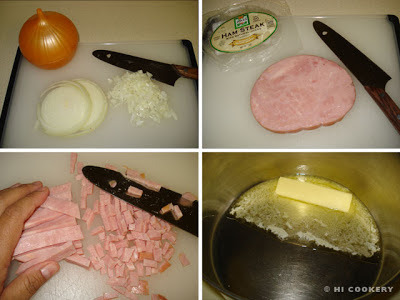 Mince the onions and chop the ham into tiny pieces. In a large pot, melt the butter over low heat. Saute the onions and ham until shiny. Mix in the flour until smooth. Pour in the rice-flavored water and simmer to thicken. Stir and ladle into soup bowls. Garnish with parsley flakes (optional). Serve hot with bread or crackers. Use the leftover boiled rice to make Italian-style arancini (recipe is posted on National Rice Month in September). These Sicilian rice balls are normally filled with a tomato or meat sauce, mozzarella cheese and/or peas. But on the Feast Day of St. Lucy, Sicilians celebrate with sweetened rice arancini filled with chocolate. I have seen these cute Babybel Santas online for several years. I thought he could be converted to St. Nicholas with a few modifications. Most of the instructions are the same as those in the link, which are so nicely detailed. Use Mini Babybel cheese rounds. After opening the wax covering and removing half of it from the cheese round, you have his mitre left. Using a sharp tipped paring knife or x-acto knife, cut from the side up to a point toward back of top. Do other side to middle also. Approximate cut lines drawn in below. Bend that section forward to make the mitre pointed and standing upright in front. Cut out a small cross from the red wax mitre with x-acto or paring knife. From the bottom wax covering that was removed, cut a small circle for the nose. The original instructions indicate using a food marker for the eyes (and mouth). I found that a toothpick dipped in concentrated gel food coloring (ex: Wilton brand icing color) could be used to add the eyes (and mouth) if you don't have a food marker. Dip bottom half of cheese in softened or whipped cream cheese. For the St. Nicholas I made the beard longer and pointier than the Santa version. You can shape and texture beard with toothpick or pretzel. Draw in a mouth with marker or food coloring on toothpick. Add a pretzel (or mini candy cane) crozier to the side. Gracious and good Lord, we bless you on this feast of St. Nicholas, your servant, who is an example to us of a life of charity and love. May we see in his life an invitation to imitate his good deeds. Make us always mindful of the needs of others and help us rejoice in the abundance of your goodness around us. Through Jesus our Lord. As most of you know, fortune cookies are thin, folded cookies with a paper saying inside. They are associated with Asian restaurants and recipes. I thought it would be fun to make fortune cookies for a saint feast day who has a connection to Asia. In place of fortunes inside the cookies, it would be a good opportunity to put quotes or saying associated with the saint. St. Francis Xavier is an excellent choice as he was a missionary to Japan and China. His feast day is this week, December 3. St. Francis spent time in the Philippines, India, and Japan, baptizing tens of thousands. He set sail for China but died on the island of Sancian within sight of China. For his travels and zealous missionary efforts in the far east he is associated with that area and is a patron of several of those countries. Other saints that could be included if you were to do this at a different time are St. Paul Miki and the Japanese Matryrs, the Chinese Martyrs, etc. Now, the actual truth of fortune cookies as being from these Asian cultures is not accurate. It seems that they were first made in the United States for Chinese restaurants. But they are significantly associated with the food of the culture to most of us now, so fit this activity, I believe. For some saints or martyrs from China and other southeast Asian countries there is little available of their teaching or writing to use as quotes, but St. Francis has some and that is why it made sense to target his feast day initially. Here is a link to a document of quotes that you can download and print off to use for making your fortune cookies. Just print and cut them into strips. I had previously tried making fortune cookies many years ago and knew that they are a bit tricky. It takes a quick hand to maneuver the cookies before they set and can no longer be shaped. The batter and baked cookie have to be just right, so it won't crack or harden to quickly. This time, with a couple of early ones for practice, I got the hang of it and they turned out okay. Don't let this intimidate you. It really was easier than my previous experience. You can check out some YouTube videos which walk you through the process. There are slight variations on the ingredients, but this is what I used. Print and cut out quotes so they are on small strips of paper. Line a baking sheet with parchment paper. Draw two 3-1/2-in. circles on parchment paper. In a small bowl, beat the butter, sugar, egg white and vanilla until frothy. 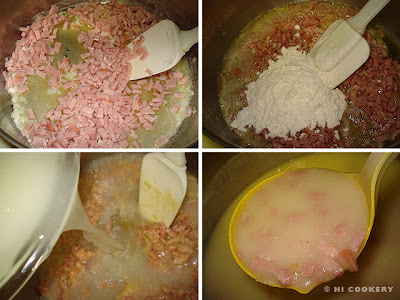 Add flour and mix until just blended in. Spread 1 T. batter over each circle. Bake at 400° for 4-5 minutes or until lightly browned. Cover one cookie with a kitchen towel (to help keep it soft while working with other). Loosen other cookie from parchment paper with a thin spatula and flip over onto work surface. Place a fortune in the center of that cookie. Fold cookie in half over paper so the edges meet and hold edges together for few seconds. Place center of cookie over the rim of a mug. Gently press ends down to bend cookie in middle. Hold and let set a few seconds. Set inside muffin tin cup to cool and retain shape. Repeat with remaining batter and paper quotes. St. Francis Xavier, Pray for us!